Enjoy a delightful experience in the authentic Italian night every Wednesday, where you can enjoy a variety of delicious Italian dishes from the buffet with a live cooking station under the name of “La Dolce Vita”. 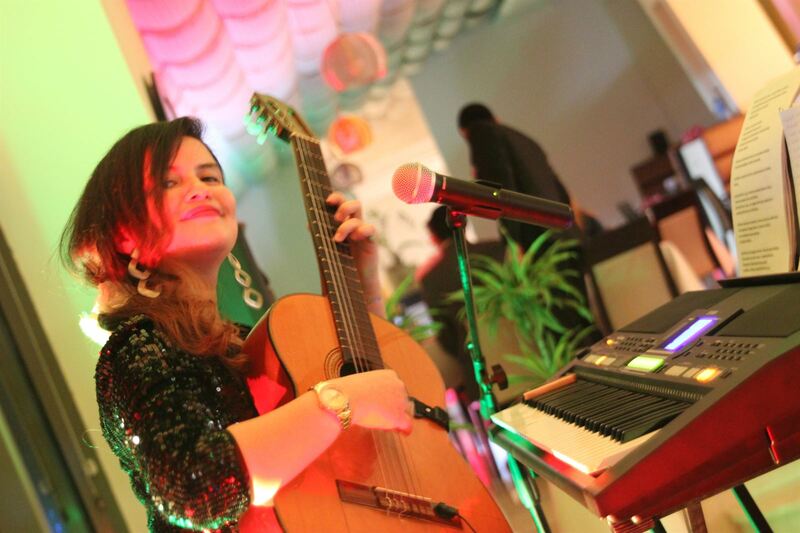 This special night is accompanied with live music performance from 7:00 pm to 11:00 pm at Flavors Restaurant and will continue until 27th December 2017 . The Italian evening with the music and Gina every Wednesday evening in Safir Hotel & Residence Kuwait - Al Fintas will take you in a trip to the enchanting Italian countryside to enjoy a buffet of Italian dishes, pizza and pasta. Other than the Italian night, Al Roshinah traditional kuwaiti restaurant in the hotel is still keeping their 20% discount on their new menu. 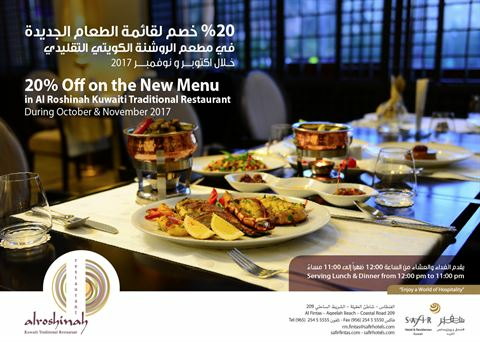 Al Roshinah restaurant offer will continue throughout October and November.